That’s why we go to shows/movies/books because those characters are the only ones we truly connect with. "…it felt like a gift from the underworld," Lundin told The Local. "It was my magnificent ring. I didn’t want to give it up." The most interesting thing here stems from the fact that River doesn’t know Donna or have any personal vested interest in her and yet she looks at her with such emotion. Donna doesn’t die traveling with The Doctor as the audience suspects in this moment. She forgets. River has seen a lot of horrible things and isn’t one to be easily moved, but you can see how just the mention of Donna’s name completely affects her. The look on her face reflects the pain of what The Doctor told her about Donna. We are seeing a reflection of how much and how deeply what happened to Donna affected The Doctor long after she was gone. "Amy! Rory! Wake up! 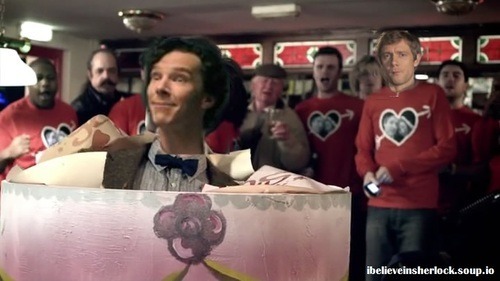 There’s presents and cookies and OHMAHPRECIOUSBOWTIEWHATAREYOUDOING"